I attended my first yarn show a year and a half ago. Even though I already had a book to my name (Amamani Puzzle Balls), and two successful CALs (Block a Week 2014 and Sophie’s Universe) under the belt, I had been living in my own secluded yarn-bubble. In real life, I had met very few crocheters and no designers. Attending Fiber East opened the door to a whole new world! I squished and gushed and giggled; smiled shyly as my friend Lynnette introduced me to a host of famous yarny-people (most notably Janie Crow and Daisy from Devon Sun Yarns, both of whom have become very dear to me). The buzz made me feel giddy and I realized that I wanted to be part of this real-life community, that I wanted (needed) to attend more events to feed my soul. And so Lynnette took me along to more shows. 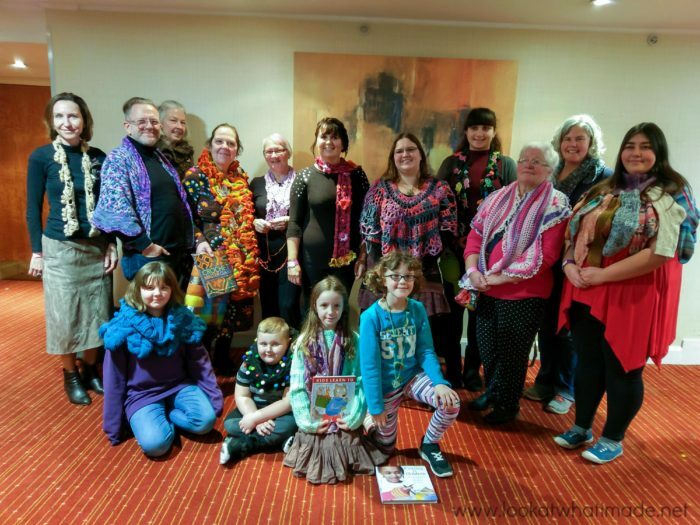 We attended Unravel 2016 (where I got to meet Amanda Perkins and see all her beautiful blankets), the Knitting and Stitching Show, and Yarndale 2016. I even ventured to Yarnporium on my own (well, not completely on my own… my 7-year old came along). There I got to meet Stephen West and catch up with my friend Sarah from Crafts from the Cwtch. The more shows I attended, the more I wanted to be ‘on the other side’. I wanted to have an actual presence, but an appalling lack of self-confidence kept me from doing anything more than just talking about it. When Kate and Diana approached me, it was a little bit (lot) surreal. Not only did they want me to open the show, but they also offered me a table where I could sell and sign books. This was perfect, as the Sophie’s Universe book had just been released and the show seemed like the perfect place to ‘launch’ it. 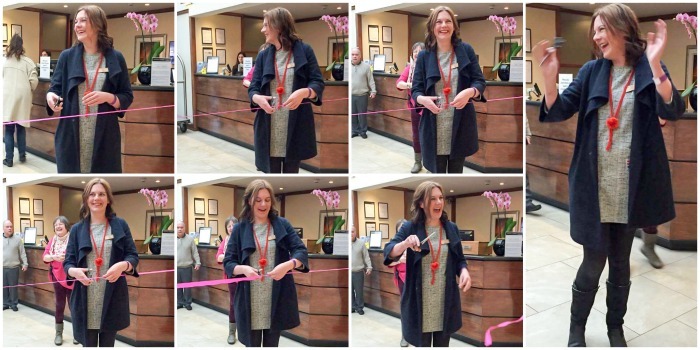 … followed by photos with the Waltham Abbey mayor Helen Kane. My favourite part of being at an event, class, or yarn retreat is seeing what other people have made. It doesn’t have to be one of my patterns, it doesn’t even have to be crochet. I just love watching people’s faces when they share a ‘look at what I made’ moment. It is the very reason I started blogging in the first place. 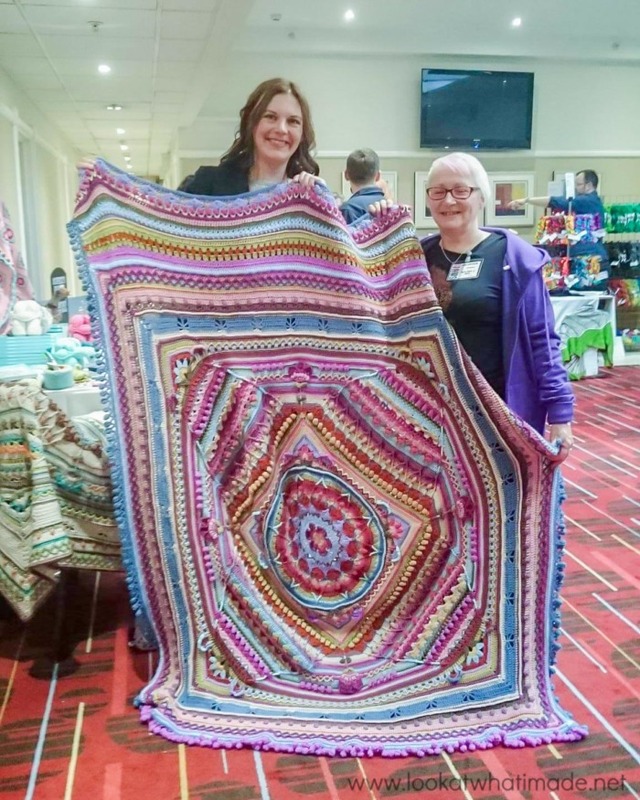 Fay Witham showing off her extended Sophie’s Universe. Photo by Sonja Hollands. 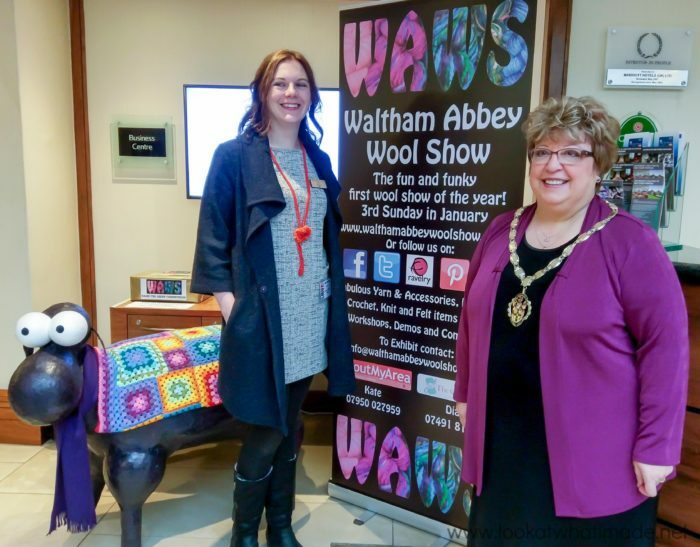 I cannot tell you how much I enjoyed attending the Waltham Abbey Wool Show. The show was intimate and animated, offering a wonderful array of vendors. What struck me most about the day was how friendly the exhibitors and the organizers were, and the sense of camaraderie and joy that emanated from all the attendees. At the risk of sounding corny, I will say that attending the show felt like “coming home”. It was such a privilege to catch up with people like Janie Crow, Louise from Spin City, and Allison and Rachel from Yarn in the City. I am realizing, more and more, that there is no substitute for a solid supportive community. I would like to thank Lynnette and Sonja (who created Sophie’s Alternate Universe) for helping me, both on the day and with all the organizing that went into getting ready for it. I’d also like to thank my friend Kay and her daughter Bex who came along for ’emotional support’. I couldn’t ask for better friends. Lastly, I would like to thank Kate and Diana (and all the people who came to say hi) for making me feel like a crochet princess for a day! 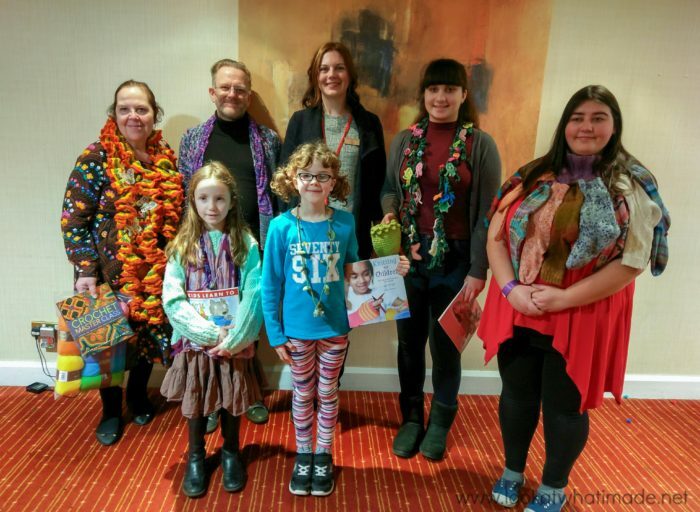 Have you ever attended a yarn show? Where was it and what did you like most about it? 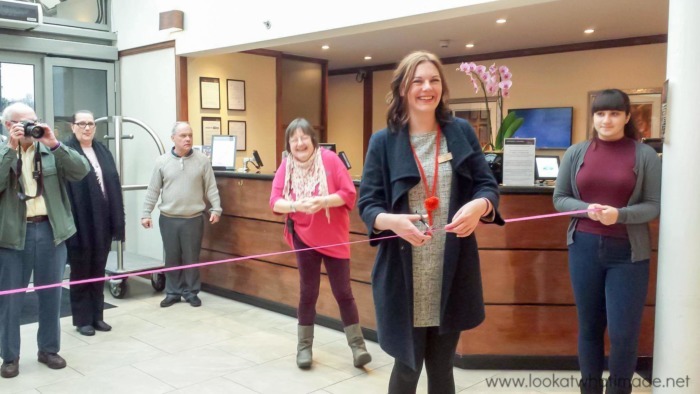 Have you found your community and is it online or ‘physical’ (for want of a better word)? I must find a good Wool Show of this type…it seems like the best ones are in the UK! Maybe I’ll have to save my pennies for another trip to the UK for one of these….though I’ve been trying to figure out how to save enough for another Yarn Retreat (which was the closes I’ve ever come to a “show”! Have, thankfully, picked up my hooks again….working on a simple Bobble Stitch Kerchief – much needed for my all-too-often bad hair days. – and am making it with Scheepjes Softfun Aquarel. You should never have introduced me to these yarns! they are just too hard to pass up…so pretty, great colorways, great to work with! Certainly worth the money compared to the “cheaper” yarns – though of course I have to order from UK or direct from company. I don’t think anyone carries it here in the US! Take care…be safe with all your travels….I keep hoping you and the family will take that big trip out here and visit beautiful San Diego and environs. Lots to see and do. The boys would love visiting Legoland, I’m sure. and it’s only a few minutes from the house! Unfortunately, I can’t put you up at the house – there’s just no space. Even when my kids visit, they have to get a hotel room. 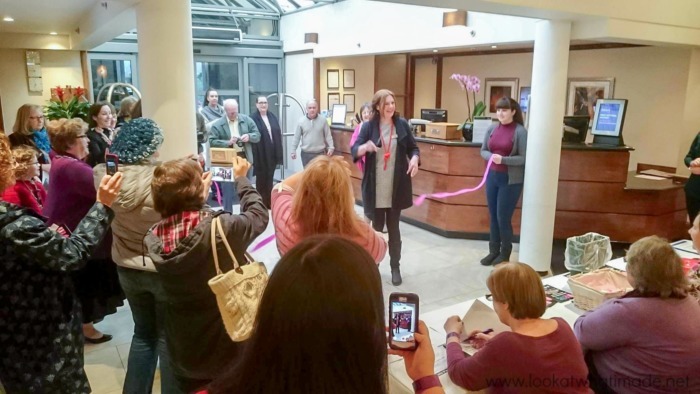 But there is a hotel – down at Oceanside Harbor that is owned by the city and residents get a significant discount on the rooms…most of which are suites so one suite would probably suit the whole family. Be safe! give my love to Christiaan and the boys. my sophies universe arrived today, you probably understand, i already have the pattern which you so kindly gave out for free, but this book is just BEAUTIFUL, simply a masterpiece. thank you thank you and thank you again. 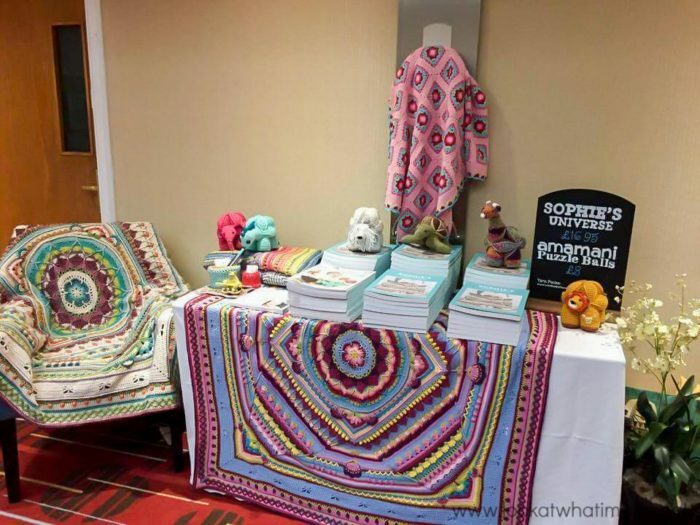 I agree – the book is a piece of art and compliments this gorgeous Sophie pattern perfectly! !